think!Mathematics is a series of textbooks that are based on deeply valued and effective educational learning theories. A three-part lesson structure of Anchor Task, Guided Practice, and Independent Practice is presented for both the novice and experienced teacher to implement with ease. Information and Communication Technology, visualization strategies, concrete aids, and manipulatives are incorporated throughout the series to ensure that teachers have the materials needed to maintain pace and conceptual focus during guided student discovery and formalized practice time. Students have opportunities to hone problem-solving skills and apply Mathematics in real-world contexts. 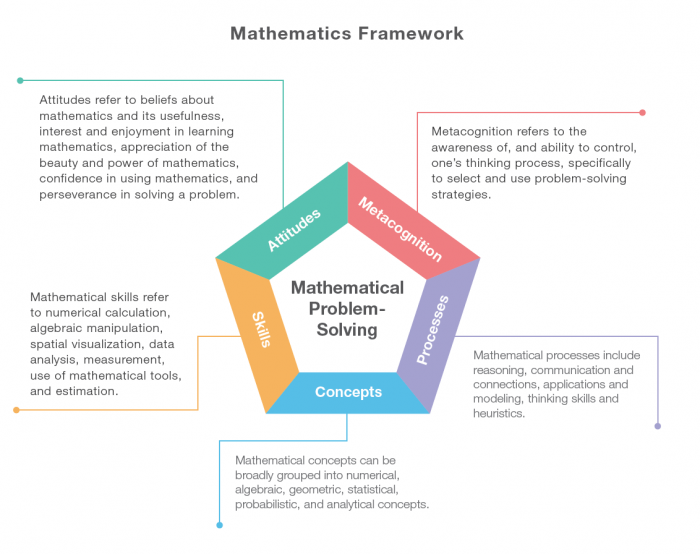 Combining the effectiveness of teaching pedagogies and innovative ideas, the content has been aligned to the Cambridge Primary Mathematics Syllabus and Common Core States Standards. The Singapore Mathematics curriculum adopts a spiral approach with a strong emphasis on problem-solving. This focus helps students build a strong foundation in mathematics and develops their thinking skills, which are relevant to the 21st century. For more information, contact think!Mathematics at 904.853.6628 or email us at info@think-mathematics.com.